FoodService Director recently spoke with directors across the country to learn how they’re tackling today’s labor challenges. One was Cheryl Tyger, resident director of AVI Fresh at Wellesley College in Wellesley, Mass. Read on for her thoughts on employee motivation and successful staffing. FSD: What is your general outlook in terms of staffing? Tyger: We are in a very unique time period where it has become the employee’s job market rather than the employer’s. In the Boston area and suburbs, there are more jobs available in our industry than there are people to fill the positions. Individuals have their pick of positions, and you have to be able to find creative ways to entice both potential managers and hourly team members. It isn’t just the rate of pay anymore, although that helps. Job seekers are looking for quality of life and job perks. 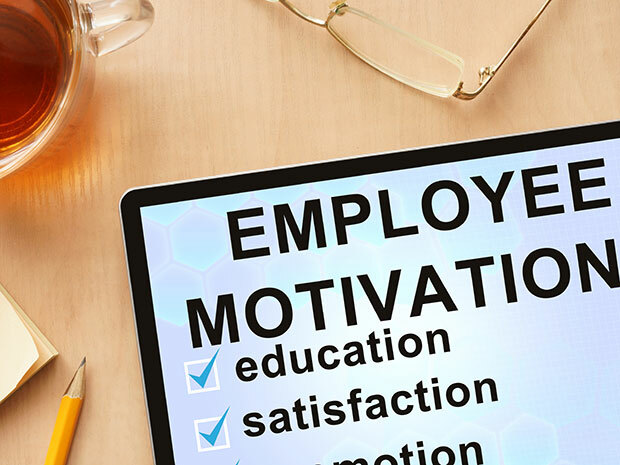 What kind of incentives and strategies have been most effective in motivating your employees? We focus quite a bit on team building and strengthening the relationships between our management team and staff. We involve the staff in menu planning and listen to their ideas. It’s so important to listen to your staff and for them to understand that they are being heard. They may have a great idea for an event or a menu item that hasn’t been done before. It also creates buy-in from your team when they see that their ideas are being heard and taken into account. We created a positive-reinforcement program called Hospitality Heroes to recognize our staff for a job well done. Tell me more about Hospitality Heroes. Throughout each month, team members are recognized for exceptional efforts. Recognition can be given for anything from great customer service to jumping in and helping out a fellow team member who may be struggling. As for our management team retention, our focus is on work-life balance. We have been able to find great individuals who are working an unbelievable number of hours in the restaurant industry that are looking for more family time. We are lucky in higher education that we know year over year how our schedules will look based on the time of year, and can use that as a benefit in recruiting managers. We are able to provide peace of mind that they can be with their families at the holidays. What are you doing to address staffing in your operation? We have been focusing on not just staffing, but retention as well, and homing in on how we retain those individuals once on board. That piece has become just important as staffing in our current climate. You have to be very versatile these days and use a variety of methods for recruiting. We advertise through all of the normal channels that most employers turn to, including job recruiting websites like Career Builder and Indeed, among others. LinkedIn has been a great resource for recruiting management staff. We have also found that culinary schools are a great place to recruit. Culinary and foodservice management schools are always holding job fairs for their current and graduate students. A great method of recruiting is by referrals from current management and hourly team members. We have a referral program for our employees where if they refer someone for a position and that individual meets the qualifications and is hired, they will receive a bonus for referring that person. What is your impression of artificial intelligence, and how do you think it will affect staffing in the future? I think in certain respects you can already see an impact. Our company (AVI Foodsystems) has a concept called Market C that is a self-service convenience-store model. Customers can choose their items, scan their items at the kiosk and pay without ever interacting with a person. These types of solutions can help with staffing issues where there isn’t a good solution. How important is it to get to know your staff? Your staff needs to know that you care and are invested in them as an individual as well as an employee. If they like who they are working for, they are much more willing to go the extra mile. Because of the incidence of violence that has occurred in many venues, including at universities, does that generate urgency to provide special training to workers to handle/disarm a potential crisis? The increase in violence has heightened everyone’s sense of awareness in what is going on around them. In the last several years, we have created a partnership with our campus police department to hold active-shooter trainings with our staff. Our school also has an emergency management team that consists of department heads throughout campus. When the group meets, we have tabletop exercises that include the town’s police and fire departments where we role-play different emergency scenarios. This allows us to prepare for these types of situations and helps us to understand the best way to manage our facilities and teams based on the situation. Do you feel like you have been able to convince new hires that this job is a gateway to a potential career in hospitality services? Absolutely. We find many individuals are looking to move up through the ranks and generally the position they are applying for is not their end goal. We strongly encourage career growth from within. If you are an individual that is eager and willing to learn, we will train you to get you to your end goal. If you are a dishwasher that wants to learn to cook and has a passion for it, then we will work with you. If you are an hourly team member that wants to grow and learn the management side of things, we will teach you. If employees opt to leave on their own, do you seek feedback from them about their impressions of the organization and ways you might be able to improve it? Yes, we always do an exit interview where we can get open and honest feedback from the person leaving. We find that it helps us to see areas where we can improve our work environment and team member experience. If they are leaving due to benefits package or pay, it can also show areas where you may be falling short and potentially allow you to make improvements. What has been your greatest staffing success story? In the last five months, we have been able to promote five lower-level managers into higher-level management positions. We are very proud of this and of the individuals that worked their way up the ranks to get where they are today. Being able to promote from within is a great way to build a strong and loyal team. What sacrifices have you had to make to deal with a shorthanded workforce? Luckily, we are fortunate to have a team that pitches in together to get through the tough times. Everyone jumps in and helps one another out, and we make it through even if it means working long days to make it happen. This fosters a family atmosphere and building a stronger team, which creates an exceptional dining experience for our customers.